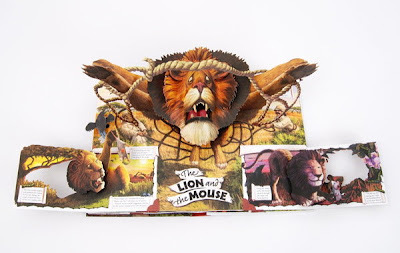 Most readers here know by now that I am a sucker for a popup book. So much so that I actually preordered Aesop's Fables: A Pop-Up Book of Classic Tales illustrated by Chris Beatrice and Bruce Whatley with paper engineering by Kees Moerbeekover a year ago. 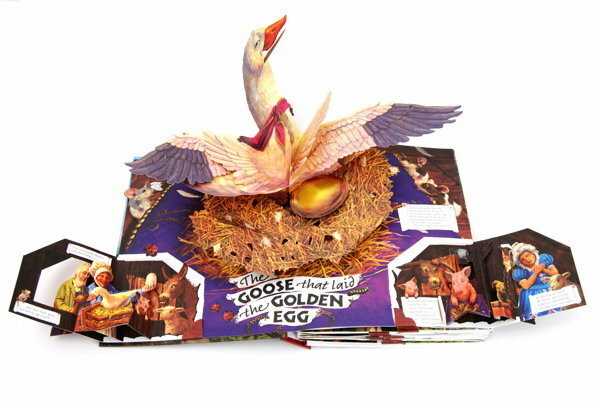 The US publication date was delayed by a year, but I kept the order live, hoping it would eventually be available here. And it is. My copy shipped a few days ago and it is lovely. I'll provide the description per usual but really nothing sells this book like the pages themselves, so I will share several images. Lovely. 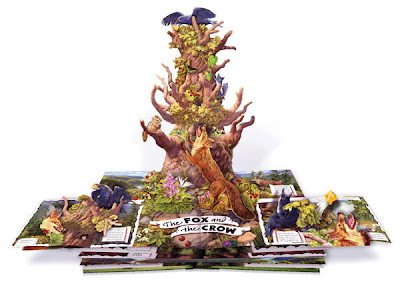 Aesop’s Fables leap off the page and into the minds and hearts of young readers in this dazzling pop-up rendition of a classic collection. Favorite stories and tales include “The Tortoise and the Hare,” “The Goose That Laid the Golden Egg,” “The Lion and the Mouse,” and seven others, vividly illustrated by Chris Beatrice and Bruce Whatley and expertly paper engineered by Kees Moerbeek. Always relevant and exceptionally entertaining, Aesop’s Fables should pop up on every bookshelf.